NEW smaller = lighter bags. 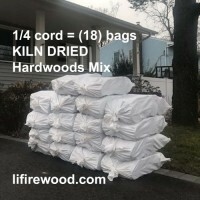 This true 1/4 cord (= 32 cu ft) is delivered in (18) large bags, that are easy to handle & store. Our Hardwoods Mix contains : Beech, Birches & Maples. 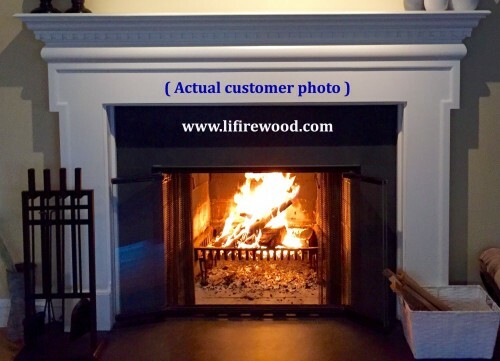 It is dried to perfection in industrial lumber kilns and burns great in all fireplaces & wood stoves. 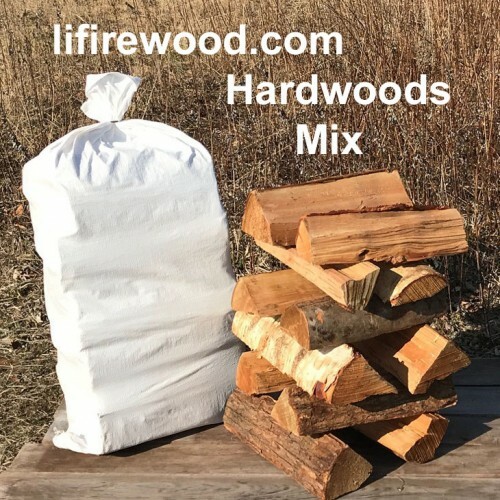 We recommend this wood for anyone that is tired of poor quality firewood. Our true 1/4 cord = 32 cubic ft, so you get almost the same amount as other sellers mysterious "face cord" that they sell as one [4 x 8] row. Volume: 32 cu ft ? Delivery: 1.80 cu ft bag x (18) ?